Kananook Heritage House and Cottage Apartment are located in a beautiful natural river garden area, just beyond the riverside waterfront with absolute natural views of historical Picnic Point which was a popular historic area to Picnic at the Point on the riverside under the willows. This setting in a green Oasis provides tranquil views of the changing colours and seasons of the orchard on the river flat, and overlooks the lagoon with waterbirds. The gentle rolling hills and portrait views of dramatic skies frame the background as the clouds roll by with differing hues of light with beautiful soft yellow sunsets fill the air at the end of the day - while you get to relax and enjoy the refreshing pristine pure country air. The natural river walk - begins just 5 minutes away after ambling down the rise from the front gate - through Yeates gravel Drive on the left just past the 'farm door' shed. As you feel the natural gravel scrunching under your feet as you can enjoy exploring the laneway walk and pass the dramatic tall green hedge of trees to wander through Picnic Point nature reserve and hear the water birds call, and discover the abundant wild life. If you fancy a little more exercise, you can enjoy joining the Mitchell River walk beside the river that allows you to stroll through the natural landscape as it meanders along side the big rolling river before you stop and explore the CBD. 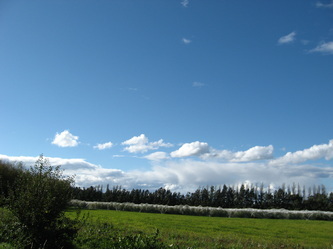 The Victorian High Plains and Gippsland Lakes are adjacent Natural wonders to enjoy, inviting hours of exploration whilst taking the time out to experience tasting local produce at cafes, wineries and provedores in the region with water or mountain landscapes views to compliment the experience, naturally of course. Visiting lakeside towns is only a 20 minute day trip adventure and road tour away before returning back to the tranquil Oasis to relax, refresh, rejuvenate and revitalise after a busy time with tourist crowds. With the perfect recent rebuilding, restoration and renovation of this Historic 1880's Heritage Building which was Kananook Homestead from the old Lindenow Racecourse, ensures an rich visual experience as you enter the drive as the original gracioous and decorative features adorn the colonial architecture before standing at the entrance hall that shines with an ornate Victorian entrance arch, high ceilings, and feature parquetry floor or the rear light filled lounge adorning an ornate fireplace and cast iron fender on the marble hearth that has this grand house beckoning you to indulge a while. With the inclusion of only new and contemporary quality amenities and furnishings to compliment the ambience this ensures you needn't spend too much time away from Kananook if you don't want and allows you to lux, experience and indulge as you take time out to enjoy and soak up the atmosphere and relax, revitalise and refresh your spirit. ​With welcoming personal touches when you arrive for you getaway escape, a memorable and pleasant time is ensured. There is currently one double fully self contained apartment with a separate double room in the Cottage Apartment that has been completely rebuilt that can sleep up to four. This grand and classical accommodation, with the romance and ambiance of the Victorian era with high ceilings and Sash windows of grand proportions has the grandeur of the 1880's which has been expertly compiled with only modern amenities to ensure only every modern luxury, allowing you to indulge during your getaway break, in accommodation which has an elegant timeless romance of classical proportions which will provide a luxury holiday for every couple to enjoy. 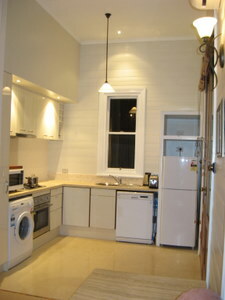 The Cottage Apartment comes complete with a modern kitchen with all appliances including dishwasher, fan forced oven and gas cook top, marble bench tops and travertine tile flooring providing an area to relax and enjoy while creating your own gourmet culinary delights from fresh produce sourced on your explorations through East Gippsland. 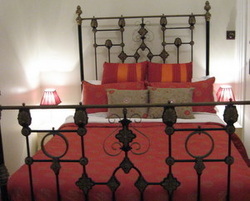 Being light, spacious and uplifting the rooms are cosy and warm in winter and with generous outdoor decking in a beautiful courtyard garden or traditional verandahs allow you to enjoy the Victorian Riviera sunshine or capture the cool Easterly sea breeze during the warmer summer months – providing a perfect getaway. Enjoy taking the time to choose whether to create culinary dishes utilising local produce gathered from the Region, or explore a varied range of dining experiences in the Region including multicultural cuisine. The grand large homestead is currently being transformed into a petite hotel for you to enjoy with its own Execuitive Suite that can easily sleep up to four and the Grand Orchard King Spa Apartment that can sleep up to six with a double view, kitchen, dining and family area as an open plan living area and seperate lounge area with a roaring open fire. You can choose to book the whole place for your own private party and be confident that it can sleep up to a total of 10 people if booked as one. It is currently undergoing restoration just like on "The Block" 2017 where grand old houses were removed then restored into modern day luxury and on completion will provide sweeping portrait views to capture the scenic 180 degree views of the front river garden and orchard, below the soft light of dramatic changing skies. This Boutique Petite Hotel provides Daily Access to - The Gippsland Lakes, 90 Mile Beach, Mt Hotham & Victorian High Plains, Local Arts, Gourmet Food Producers & CBD Access Within Minutes. Kananook Cottage Apartment allows you to relax, rejuvenate and revive in scenic, tranquil surrounds in opulent and romantic accommodation of 1880's Victorian heritage, allowing you to live, enjoy and experience the heritage and history in a totally refurbished part of the old homestead that exudes the essence and romance of grand Victorian proportions combined with luxury 5* amenities and furnishings as your own private apartment. The ensuite has its own deluxe shower space, heated towel rails, classical French vanity and mirror, with all the high quality fittings you would expect from a 5 star hotel. With alfresco dining and a private tree lined courtyard, after returning from a days business of exploring the different changing land and seascapes in the area, this Cottage Apartment also has its own front balcony and verandah allowing you to sit and enjoy taking in the sweeping views overlooking the Mitchell River flats and rolling hills beyond. Being ideally located on the edge of town it's easy to access retail, shopping, dining and commercial CBD access within minutes. The best part is being located in the regional gateway, allowing you to get up and choose from local Rivers, Lakes and Waterways, Oceans, High Country and Mountains beyond as part of your day. Wake up in the mornings to the sound of kookaburras, black cockatoos and other native birdlife instead of major road noise that's experienced at the big hotels on the main road. 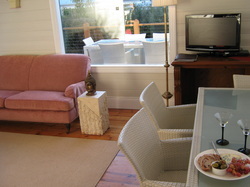 The lounge area has DVD, LCD widescreen TV and sound system. High speed internet wi-fi is available to all guests. The living area is fitted with original antique Victorian Baltic Pine Regency wall lining boards as a wall feature and has polished Baltic Pine flooring, with seating and dining space for up to four people. The bedroom exudes a subtle romance with an extra long antique double bed, polished Baltic Pine flooring with wallpaper and paint tonings of the era. This timelessness is completed with central chandeliers and the bedroom has its own private door to the rear courtyard garden. 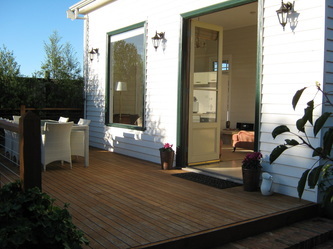 The outdoor entertaining deck is adjacent to the kitchen and accessed through double French doors. A large outdoor setting is provided to enjoy alfresco dining. The chairs are easily moved into other areas of the garden - around the mosaic paving or on the gravel parterre to enjoy the balmy sunshine or cool summer breezes. 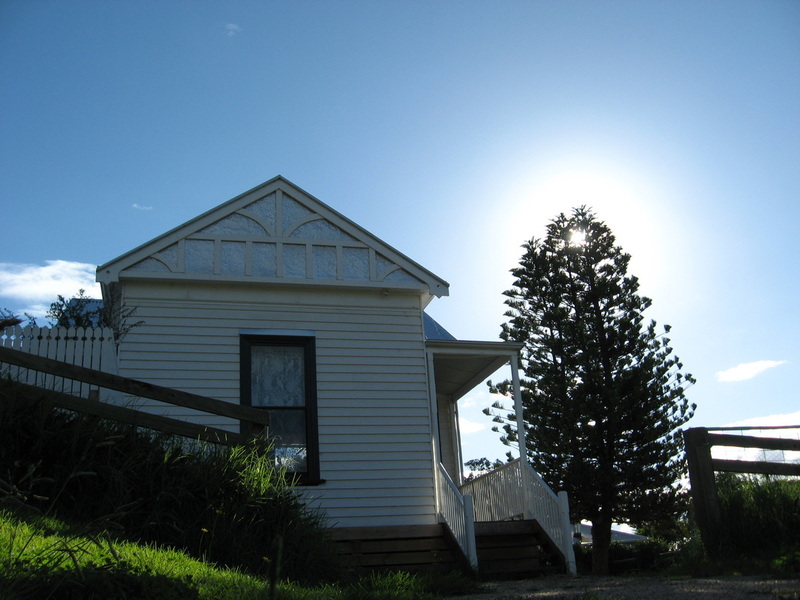 Kananook cottage is fully air-conditioned, with gas space heating provided for winter. The gas boosted, solar hot water service provides a sustainable use of the East Gippsland Riviera climate taking full advantage of the natural sunshine. Experience and enjoy the spectacular grandeur of a past era, combined with the comfort of 5 star luxury modern conveniences and furnishings, to enhance and enrich your holiday, for your next getaway escape.